Repak is urging householders to recycle up to half of the used packaging over the holiday period – 98% of which is not Easter egg-related. Last year Repak helped to recycle 18,300 tonnes of mixed packaging from households over the Easter period – the highest since its establishment in 1997. At the launch of its Easter recycling campaign yesterday, Repak pointed out that Easter egg consumption increased by 3.4% last year, with Irish people spending €24.2m on Easter eggs alone. This Easter Irish people will consume more than 9.5m Easter eggs – an average of 2.13 eggs per person. Almost 70% of Irish households buy Easter confectionery, with the average shopper buying around eight eggs. As well as eating 1,000 tonnes of Easter chocolate, over 6.5m litres of wine and 15m litres of beers is expected to be drunk over Easter, especially at Good Friday parties. Repak estimates that Irish people will drink enough wine to fill 204,000 baths and enough beer to fill more than six Olympic-sized swimming pools. “We would ask every Irish household to help us smash our annual target of recycling 11 kilos per capita or approximately 50% of all household packaging,” said Dr Andrew Hetherington, Repak’s chief executive. He said Repak was delighted that the majority of confectionery manufacturers had reduced their Easter egg packaging by more than 25% in recent years, while also increasing the amount of materials that could be recycled. As well as reducing the size of the outer cartons, manufacturers have lightened the cardboard and many have removed the previously used plastic inserts, as well as experimenting with packaging-free eggs. 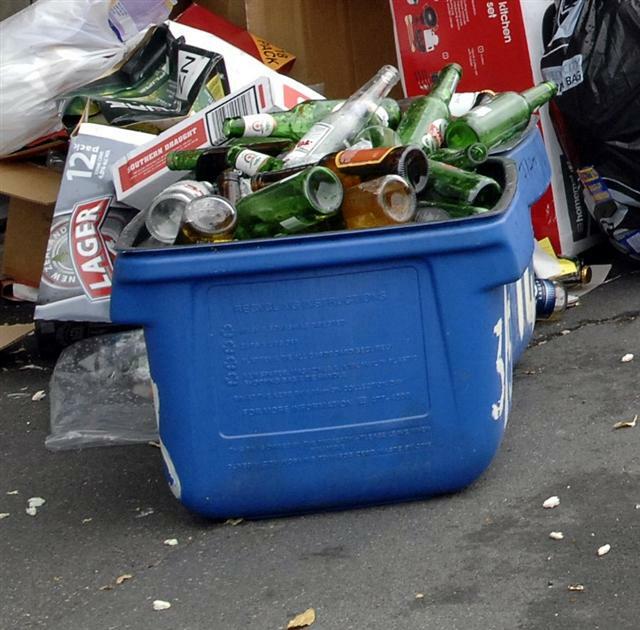 “We would remind people not only to recycle their Easter gift packaging but also all the other packaging that the festivities will generate, such as wine bottles, beer bottles and cans,” said Dr Hetherington. * Plastics – most Easter egg molded plastic is PET, denoted by a triangle with the number 1, and can go into most plastic bottle collection systems. * Foil – fold the aluminium foil from Easter eggs and place in the dry recyclable household collection bin or bring it to the nearest recycling centre.